When you hit the gym, you’ve got an audio book queued up on your MP3 player and when you get home, you can pick up your Kindle and pick right up where you left off, but what about actual books? You know, those things printed on paper? Well, they have found new purpose thanks to Ragip Erdem’s Book Lamp. 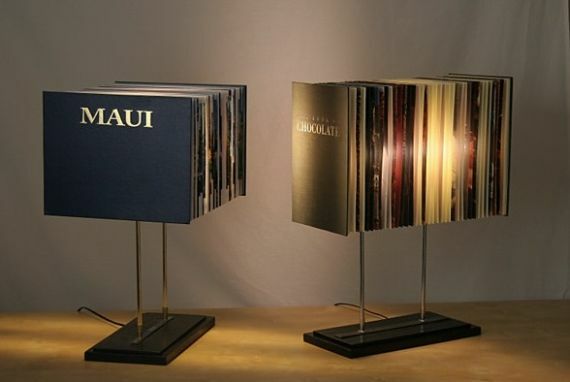 Each lamp uses the cover, spine and pages from an old, discarded book to bring a unique light into your home. It’s the perfect lamp to sit next to while you read from your favorite eReader device! Check Out These Posable Life Size Skeleton Lamps!